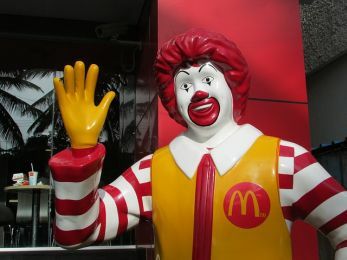 McDonald’s is the largest fast food chain in the world. It has long been known for its variety of burgers. More recently it’s included healthy food items including smoothies. The question is, are McDonald’s smoothies healthy? 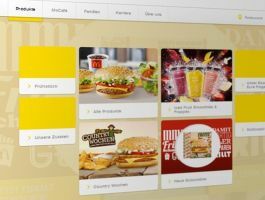 Along with their smoothies, some of McDonald’s other more recent menu items include its salads, oatmeal, wraps and yogurt parfaits. 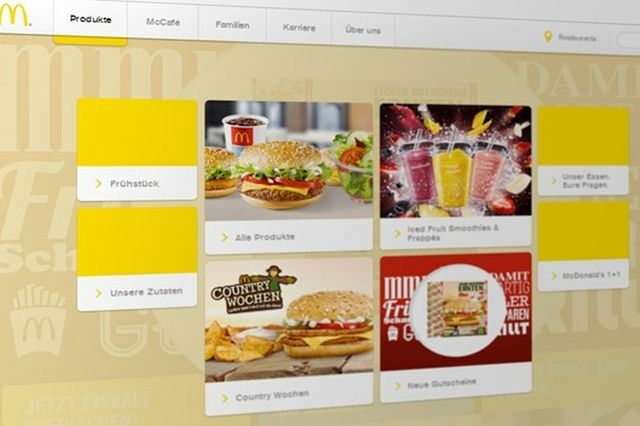 McDonald’s is mainly known for fries, burgers and sodas. But more recently the restaurant has added smoothies in their menu. 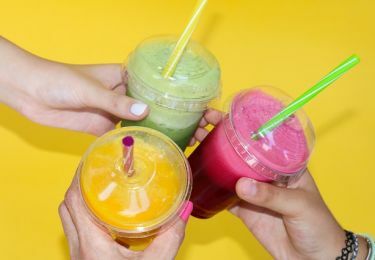 The inclusion of these smoothies are part of the thrust that the fast food giant is doing to provide customers with healthier menu options. 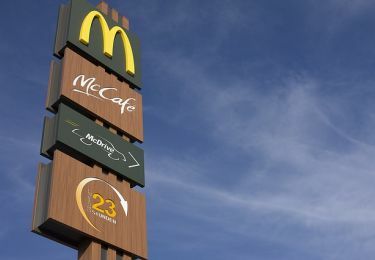 McDonald’s, which is one of the companies known for listening to its customers, noticed that more and more consumers were looking for healthier food options. Even within the realm of fast food. The company’s entry into healthy food including salads and smoothies, have raised some questions and concerns among the consumers. These include the safety and health benefits of smoothies and other products. So are McDonald’s smoothies healthy? The smoothies are healthy because they contain blended fruits, low fat yoghurt, and ice. These do come in different flavors as well such as bananas and wild berry. But let’s take a closer look at the ingredients. The smoothies, which are considered to have very low fat content, also look to be good for those looking who are looking out for their weight or waistlines. 210 calories and has 1/2 gram of fat in its small size. The medium has 1 gram of fat and 260 calories. While and the large calorie has 320 calories and 1 gram of fat. Next up is dietary fiber. McDonald’s smoothies contain approximately 2 to 4 grams of fiber. Fiber is a nutrient that promotes satiety by slowing down the emptying of the stomach. This not only reduces the spikes in blood glucose after meals but also improves the absorption of nutrients in our digestive systems. Taking large amounts of fiber help consumers reduce the risk of obesity and avoid overeating. McDonald’s smoothies have a combination of added and natural sugars of 44 grams, 55 grams and 70 grams of sugar in small, medium, and large smoothies, respectively. This is one area where you’ll want to be careful with these drinks. Sugars aren’t good for our bodies. And in excess can wreak havoc not only to our body’s cells but also our brains. The American Heart Association recommends men to limit their added sugar intake to 37.5 grams daily. Women meanwhile, are recommended to keep added sugar consumption to 25 grams per day or less. Looking at the sugar content in McDonald’s smoothies, it’s easy to figure out that you shouldn’t be drinking these drinks on a regular basis. There’s just too much added sugar, though a good chunk of it is from natural sugars of the fruits. Children and adults are recommended to take more than 25 percent of calories from added sugars. Smoothies from McDonald’s have 70 to 80 percent of the daily value for vitamin C. This makes them a good way to supplement your vitamin C intake. Each medium smoothie has 90 to 100 percent of our daily vitamins recommended dietary intake. While the large has 110 and 120 percent of the recommended daily intake of vitamin C.
Ascorbic acid, also referred as vitamin C, is an antioxidant that help the immune system of the body by protecting the body from any free radicals that have the potential to damage the cells and cause different diseases. and vitamin A (2 to 4 percent). Every time you are looking to have a healthy fast food drink especially during the summer heat, you can give McDonald’s a try. McDonald’s outlets are now stocked with delicious smoothies that are cold, tasty, and made of a real fruit. Most of the fast food restaurants are known for using artificial colors instead of the real fruit. Some even go the extend of using berry shaped cellulose with artificial flavoring colors. But a quick check of most of McDonald’s fast food healthy items including the smoothies, have real fruits. One thing that consumers should watch out for is the sugar content. This is especially true for individuals that may have special diets. These include those who need to watch the amount of sugar that their body should consume. It’s less worrisome knowing that the smoothies mostly contain natural sugar that comes from the fruits that’s used in them. They do however, still include some added fructose. And the total sugar amount is quite high by any standards. Most customers that have enjoyed these smoothies are amazed that the product healthier than most people imagine. In conclusion, McDonald’s smoothies include good healthy ingredients that contain antioxidants, fiber, and protein. They also use real fruits and give you healthy fats such as flax, which is helpful for brain function and reducing inflammation. The low down on McDonald’s smoothies is that various health and nutrition specialists have criticized that it includes very little protein and has high levels of sugar in its content. They also use cornstarch to thicken the smoothie. Overall, we do think it’s a step in the right direction. We however caution about the high sugar amount. So if you enjoy them, do so very moderately. Food & Nutrition, General Health, Recipes. permalink.